German Nest Competitor Tado Looks to Expand in the U.S.
Tado, which makes Internet-connected thermostats, says its new product can turn almost any AC unit into a smart device. Is the competition among smart thermostats heating up? German smart thermostat company Tado recently raised $13.6 million in new financing from backers Target Partners and Shortcut Ventures. CEO Christian Deilmann says the funding will be used to fuel growth in Europe and help the company expand in the United States. Earlier this year, Google (NASDAQ:GOOGL) acquired smart thermostat startup Nest for more than $3 billion. 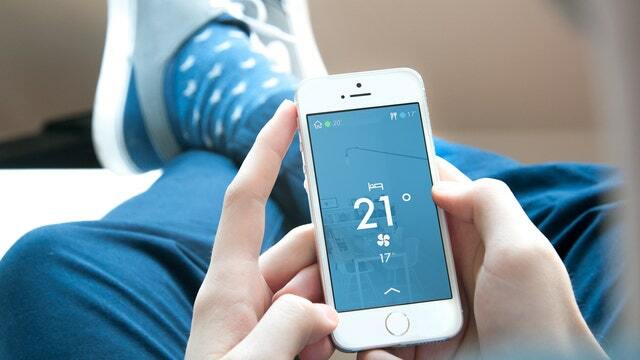 Unlike Nest, which offers a single thermostat that can control both heating and cooling systems, Tado offers separate thermostats and apps for heating and cooling. With Tado, Deilmann says most of the “intelligent” features are in the smartphone app and on the server. He says these functions are enabled by geo-location signals. And though the Google acquisition brought Nest into the spotlight in the U.S., Deilmann says the Tado product will bring something new to the market – even though both technically fall into the “smart thermostat” category. Earlier this summer, Tado ran a successful Kickstarter campaign for its “Cooling” product. The company raised over $200,000 from 1,601 backers for the product, which the company says can turn almost any AC unit into a “smart” device.